In this project page we describe the use of the EGM (the Earth Geodetic Model) for correcting the altitude of a GPS sensor. When you used a GPS sensor at the beach, you might have wondered why the sensor shows an altitude of something like 50 meters but not 0 meters above mean sea level. The undulated surface is called the geoid. The undulations are caused by gravitational anomalies, which attract the water body and form swells over areas of higher gravitaty. The swells can be up to 86 meters high and the troughs can be up to 107 meters deep. 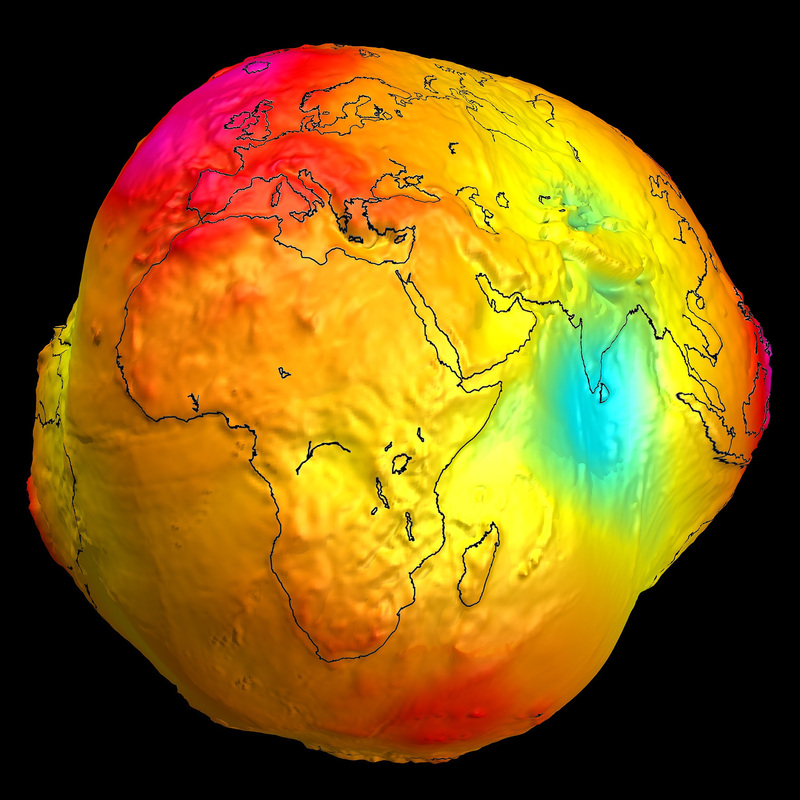 The following image shows an exaggerated view of the earth’s “potato” shape. The uncorrected coordinates of the GPS device do not account for those undulations, so the beach can be within ±100 meter above the ellipsoid. In the following we come up with a handy solution to correct the GPS altitude so that it reflects the elevation above the mean sea level. 1) We uncompress the data and rename it to EGM08_25.bil (ESRI raw file format). Unfortunately, this does not work, because the original data contains 4 padding bytes at the left and right end of each row, meaning that the first and last columns of the data just contain irrelevant padding data, which we need to strip off. The cell padding is in fact an “undocumented” feature of the EGM08 raw data, there is no reliable information about it in the README. 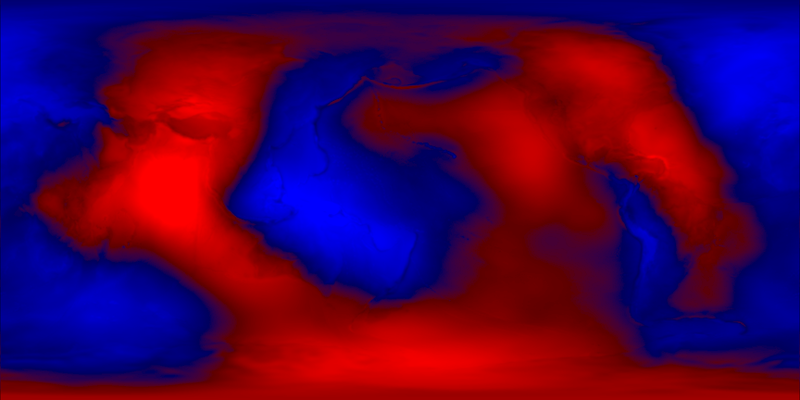 Red values represent troughs of the geoid (negative values of the geoid DEM), whereas blue values represent hills (positive values of the geoid DEM). The grid2c program outputs the data as C++ source code in which a corresponding float matrix is defined, so that it can be included as a regular module into a C++ program. To correct the GPS altitude we need to interpolate the above data matrix at a specific latitude and longitude. This yields the geoid height at the corresponding location. Then we subtract the geoid height from the GPS altitude and end up having the true elevation above sea-level, hurray! In order to avoid misunderstandings this elevation is often abbreviated as m.a.s.l. meaning meters above sea level. The geoid height at Porto Vecchio at lat/lon = 41.6/9.3 is 45.4257m. Mission completed, GPS measurements can be corrected on-the-fly using the above C++ code!